Homi Adajania directs Deepika Padukone, Arjun Kapoor, Naseeruddin Shah and Pankaj Kapur in the the dark comedy Finding Fanny. In a clear departure from his last outing as director where Homi directed Deepika in cocktail, he goes back to territory he first explored with his directorial debut Being Cyrus. Finding Fanny is the story of Ferdie played immaculately by Naseeruddin who is the oldest choir boy and post-master of a small goan village. Ferdie discovers a letter he wrote to the love of his life Stephanie, the eponymous Fanny, was never delivered to her. Lamenting a unrequited love Ferdie confides in his best friend Angie played by the lissome Deepika Padukone. 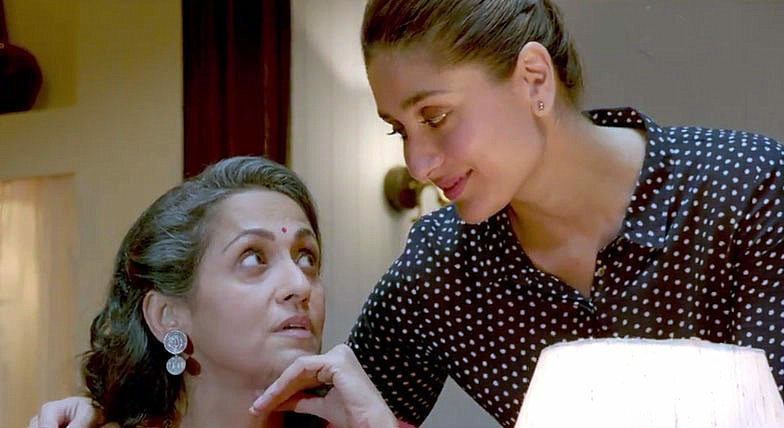 Together with her larger than life mother-in-law Rosie played by the ever-enchanting Dimple Kapadia, childhood friend Savio played by the brooding Arjun Kapoor and the lecherous Don Pedro an artist of international acclaim played to perfection by Pankaj Kapur, Angie and Ferdie set out to find Fanny. This road trip takes us along the beautiful and scenic vistas of Goa reminding us once again that Goa is not only about beaches and booze. Other than Ferdie who is searching for the love of his life, every character is on a personal quest of sorts and they each manage to find it in a strange sort of way. Don Pedro and his Ruben-esque love for the voluptuous Rosie is definitely the most guffaw inducing with his hammed-up, lecherous antics. There were two scenes which had me baffled and wondering if the director needed more time to resolve the outbursts. The first one involved Pedro finally finishing his portrait of Madame Rosaline and thus dubbing her vapid and empty – I think it should have been more about her insecurities and the lies she had bundled up to maintain appearances. The second was Rosie berating Savio about how he should have died instead of her own son Gabo, it seemed to be too abrupt with no real preamble or conclusion. Deepika Padukone seems to be going from strength to strength with each movie and for her own good I hope she manages to strike a balance between box office blockbusters like Chennai Express and pseudo-indie movie like Finding Fanny because they help her grow as an actress. Here she lights up every scene she is in just by the slightest of knowing smiles as she adoringly indulges the lovable Fredie. There is an inner strength and conviction in her own craft that is clearly visible in her poise and composure throughout the movie. For me Deepika Padukone has well and truly arrived as the Queen Bee of Bollywood. 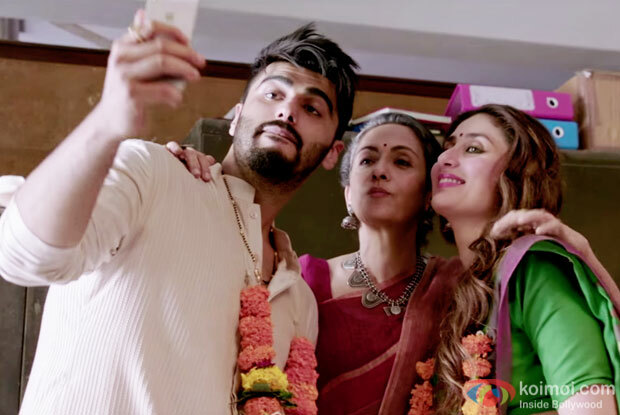 Arjun Kapoor is surprisingly good as the brooding and pouty Savio and gets the job done. With Deepika around, Kapoor ends up being a supporting actor than a lead. The trifecta of veterans Shah, Kapadia and Kapur are what lifts the movie from being a comedy of errors to a dark and brilliant comedy. Their craft is so nuanced that it leaves me baffled that they are not doing more movies. Anil Mehta’s work behind the camera is brilliant as he takes on a journey through the leafy bylanes of rural goa and frames the perfect sunsets beautifully. The production on the movie is also top notch with kitschy and retro props that help transport the audience to rustic goa where the time literally stands still as no one is in a rush to do anything, Susegad as they say. Finding Fanny feels more like a taut short story than an elaborate movie but is thoroughly entertaining. Deepika Padukone is reason enough to shell out your hard earned cash to catch this on the big screen. Dimple Kapadia, Pankaj Kapur and Naseerudding Shah are added bonus. Watch this movie because brave movies like these need the audience love and support to encourage directors like Homi Adajania to keep on this path and not steer off-course to cocktail land.